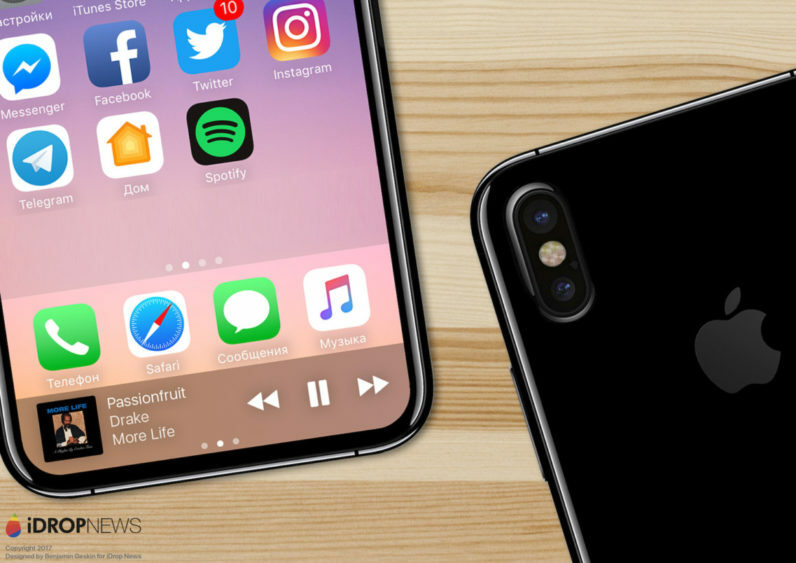 Earlier today, enterprising developers discovered clues about the iPhone 8’s design in firmware for the upcoming HomePod speaker. Turns out that firmware is still churning out important nuggets of information. Now Steve Troughton-Smith, who helped in the earlier leak, also found some code suggesting the iPhone 8 would have a resolution of 2436 x 1125. There’s also a reference to a 6.5 inch display! @stroughtonsmith looks like the resolution rumors were true! Let me be clear: at this screen size, most people don’t need that kind of resolution. Heck, Samsung even defaults its displays to circa 1080p resolution in its software to save battery life. But if you have a keen eye and spend a lot of time watching QHD+ videos on your mobile device the difference is noticeable. I’m one of those people; forget what Apple tells you about Retina displays and viewing distances. Another thing to keep in mind is that the OLED screen tech Apple is likely to use often comes with weird pixel arrays that make text and high-contrast edges look a little fuzzy. Because of this, text on a 1080p OLED display often looks fuzzier – sometimes with faint purple and green edges – than it would on an equivalent LCD screen. The higher resolution would also be much appreciated if Apple ever decided to release an iPhone-powered VR headset, a la Google Cardboard or Samsung Gear VR. I have a hard time imagining Apple designer Jony Ive would ever let such an inelegant solution fly, but given the company’s recent VR push for desktops and its newfound focus on AR, it’s not entirely impossible. My guess that since the iPhone 8 will be Apple’s biggest mobile display yet, the company simply doesn’t want it’s screen to look fuzzier than the the 7 Plus. We’ll find out soon enough.